Many are thinking that the weather in Cyprus is always nice and hot. The reality is that it varies through the year. 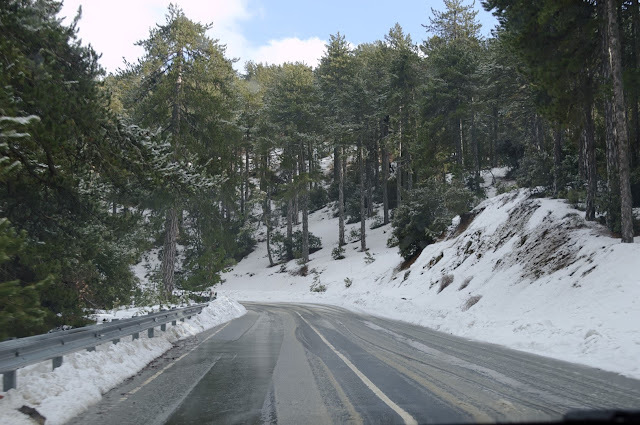 This is picture taken 3 months ago in Troodos (end of February), on of the mountains of Cyprus. Everything was covered with snow and the temperature was around 0. Also for small periods of time the temperature inside the capital city of Cyprus can go -1 or -2. And then, the spring came. 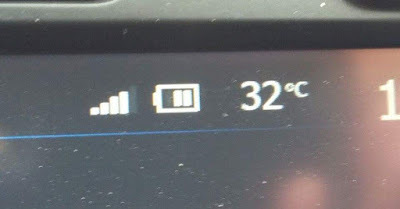 We got a heat wave from Africa and the result was 32*C during the day inside the city of Nicosia. This picture was taken mid April. As we entering to the summer, we expect even higher temperature, up to 40*C.
Summer here we come! Can't wait the time to visit the beautiful beaches again! 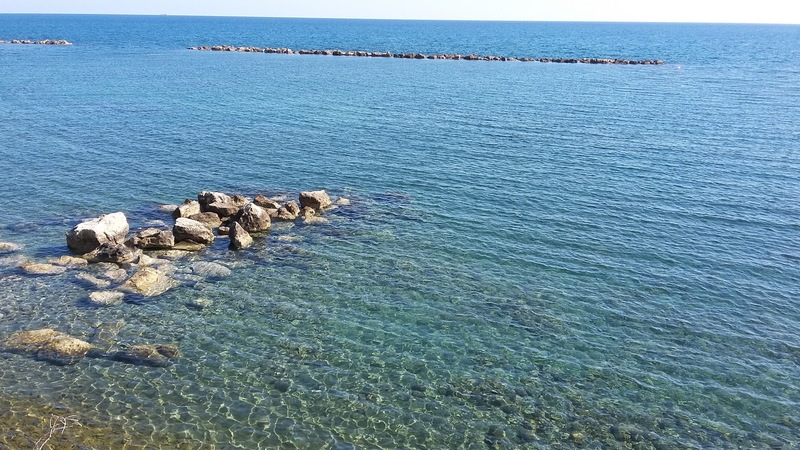 A beach near Larnaka. 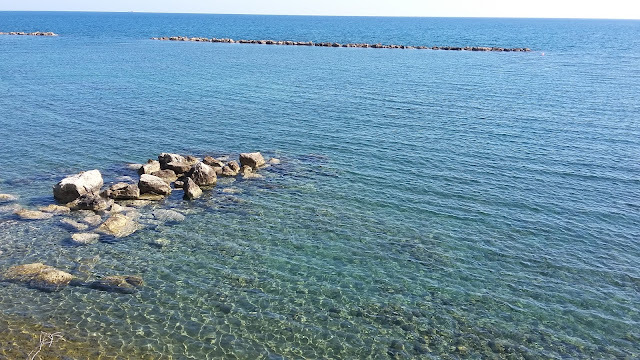 Notice the clean waters, the picture was take without any polarized filter.